The Bajaj Pulsar 150 has been one of the company’s most consistent sellers in India. And that’s for a good reason. The motorcycle continues to sport a seemingly ageless design, with an impressive performance package. It recently received a cosmetic update in the form of new neon red, neon silver and neon yellow graphics with a matte black paint. Powering the motorcycle is still the same 149cc, single-cylinder, air-cooled engine which pumps out 14PS of power at 8000rpm and 13.4Nm of torque at 6000rpm, mated to a 5-speed transmission. Additionally, the bike also features Evaporative Emission Control System (EVAP) that recycles vaporising fuel. The Bajaj Pulsar Neon range is priced at Rs 64,998, while twin-disc variant costs Rs 80,794 (ex-showroom Delhi). The Bajaj Pulsar 150 goes up against the Yamaha FZ-FI, TVS Apache RTR 160 and the Hero Xtreme Sports. Bajaj Pulsar 150 prices start at Rs. 64,998 (Ex-Showroom) and the top end variant Bajaj Pulsar 150 Dual Disc is priced at Rs. 84,461 (Ex-Showroom). Bajaj Pulsar 150 is available in 4 variants and 10 colours. 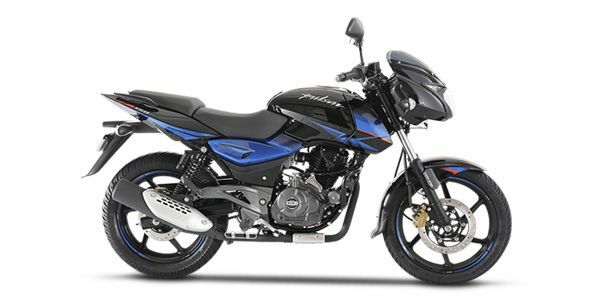 Share your experiences with Pulsar 150? The claimed ARAI mileage for the Bajaj Pulsar 150 petrol is 65 kmpl. Despite being present in the market for more than 15 years, the Bajaj Pulsar 150 still remains the king of the 150cc segment but design needs an update as the styling is starting to show its age. Bro their is a diff of 10-15k in both...so if you see acc to avg then pulsar and acc to looks and performance then go for fz any latest model with fuel injection. Pulsar 150 in my opinion.... As i m riding it...rest everything depends on u..
Q. Bajaj bikes are good or not? Mileage 55. And sound... Depends on ur maintenance. If u maintain it properly then everything works fine. Q. Which is the best bike between TVS Apache RTR 160 4V and Bajaj Pulsar 150? Q. Is this bike ride more comfortable and what about it maintenance? Yes it's very comfortable and talking about the maintenance is like it will go on a low cost..
After a long wait Bajaj’s Pulsar 150 has finally received some mechanical updates. Apart from complying with the BS-IV emission norms what else has changed on India’s highest selling 150cc motorcycle? The Pulsar 150 was a smashing looking bike when it made its debut many moons back. But with the passage of time, Bajaj hasn’t updated the bike and the new model, which was launched earlier this year, looks similar to the older bike. While the older bike featured a dual-tone finish which looked good, the new Pulsar 150 gets revised graphics that makes it a look more like a commuter bike. The new motorcycle is BS-IV-compliant and gets AHO (automatic headlamp on). It also gets reflective tape on the wheels. The instrument console remains a semi-digital unit, but gets a faux carbon fibre finish that looks nice. The Bajaj Pulsar 150 is powered by an air-cooled, single-cylinder motor that now delivers 14PS and 13.4Nm. Power output is down by 1PS in comparison to the older motor, while torque has increased by 1Nm. The new motor complies with BS-IV emission norms and is mated to a 5-speed gearbox. The engine also features Evaporative Emission Control System (EVAP) that recycles fuel that vaporises from the tank and uses it for combustion. Bajaj claims that the new Pulsar 150 will run for 65km on a litre of fuel. The bike employs telescopic front forks and gas charged twin shock absorbers at the rear. Braking responsibilities are handled by 220mm disc brake at front wheel and a 130mm drum unit on the rear wheel. Honda Unicorn: The Honda Unicorn might not posses the same visual pizzaz of the Pulsar 150, but what it does offer is a bulletproof engine which is frugal as well. The Unicorn 150 is a better bet if you spend most of your time riding in city traffic and the engine refinement offered is still the benchmark in the segment. The only downside is the Unicorn price, which is significantly more than its rivals. Hero Achiever 150: The Hero Achiever 150 has always been overshadowed by it rivals. But Hero has given it a new lease of life by launching an all-new model. The Achiever 150 is the only bike in its segment to get start-stop technology and boasts the best mileage figures for a 150cc bike. While the styling won’t please all, Hero’s enormous dealership network and killer pricing does make it an interesting option. Confused about Bajaj Pulsar 150?